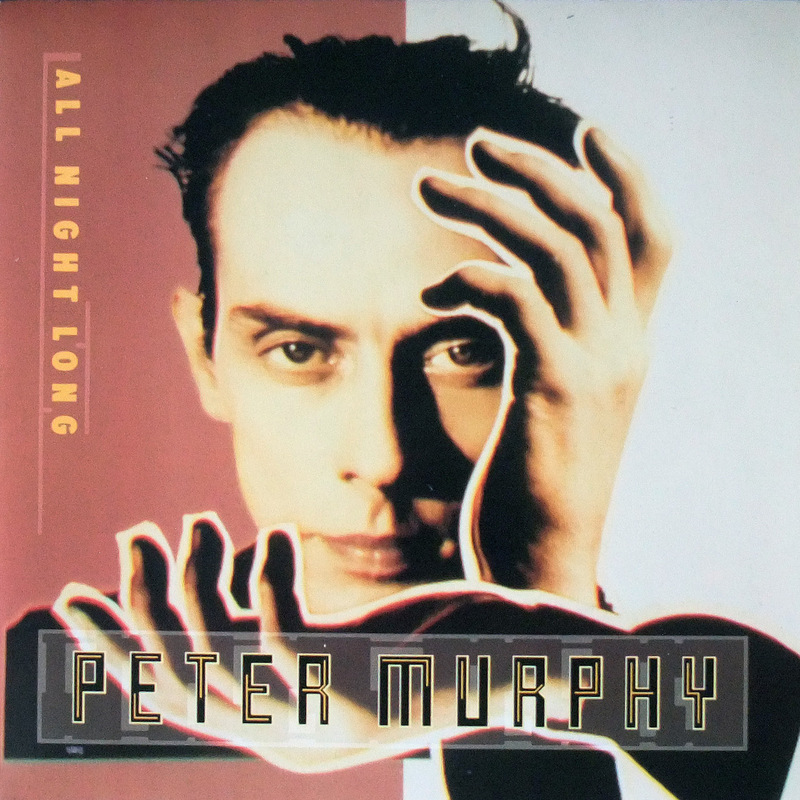 The previous post focussed on Peter’s debut LP and the many versions of the tracks that exist – a similar story in this post, but somewhat less in the way of numbers. Still a fair few to round up, however. The first single to be released from the album, it is a reasonably straightforward story here – originally the main variants being 7″ mix and 12″/album mix. However, note that the UK and US 7″ mixes are different lengths. The UK 7″ (Beggars Banquet, BEG207) saw a longer edit, at approx. 4’30”. The 2011 CD re-issue of ‘Love Hysteria’ saw the release of a ‘demo’ mix of the song as well though. 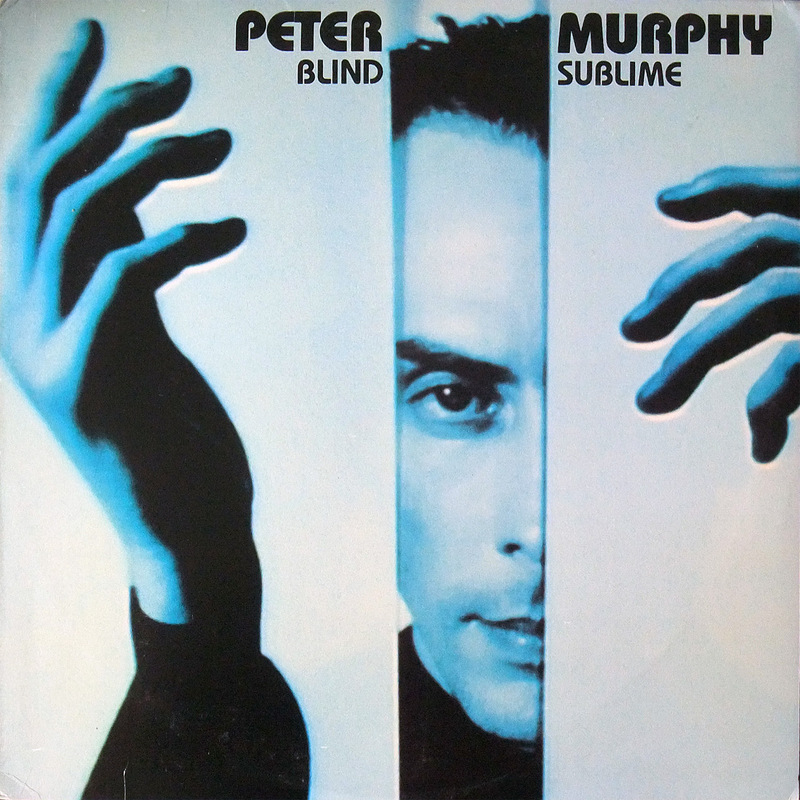 In the UK, standard 7″ (the A side a 4’30” edit) and 12″ (same version as the LP) singles featured a non-LP B side in the shape of ‘I’ve Got a Miniature Secret Camera’, while the 12″ came with an extra non-LP track, ‘Funtime (In Cabaret)’, Peter’s lounge lizard take on the more frenetic ‘Funtime’, which would surface on the ‘Love Hysteria’ LP. Both of the B sides would be added to the ‘Love Hysteria’ CD (the latter with a slightly different title in ‘Funtime (Cabaret Mix)’) in the UK. A CD single (Beggars Banquet, BEG207CD) was also issued in the UK, Peter’s first such release and it included a fourth track, ‘Blind Sublime’ – same version as would be found on the LP. The US 7″ (Beggars Banquet/RCA, 8620-7-H) and cassette single versions featured a shorter edit at just over 4 minutes in length. Meanwhile, a 12″ promo-only single (Beggars Banquet/RCA, 8309-1 HDAB) featured the slightly longer edit, as used in the UK, with the longer, LP length version on the flip side. 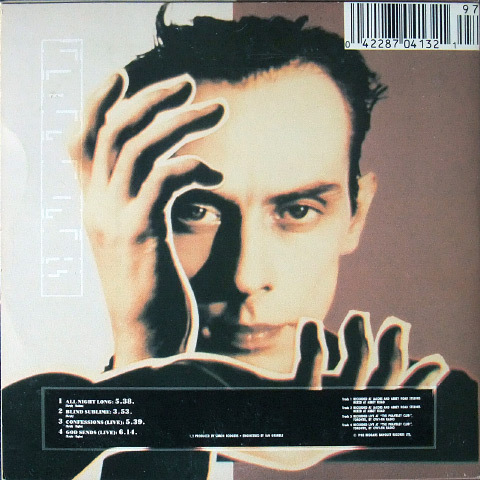 The regular issue Canadian releases saw an interesting mix up of additional tracks – released on 12″, CD and cassette single. 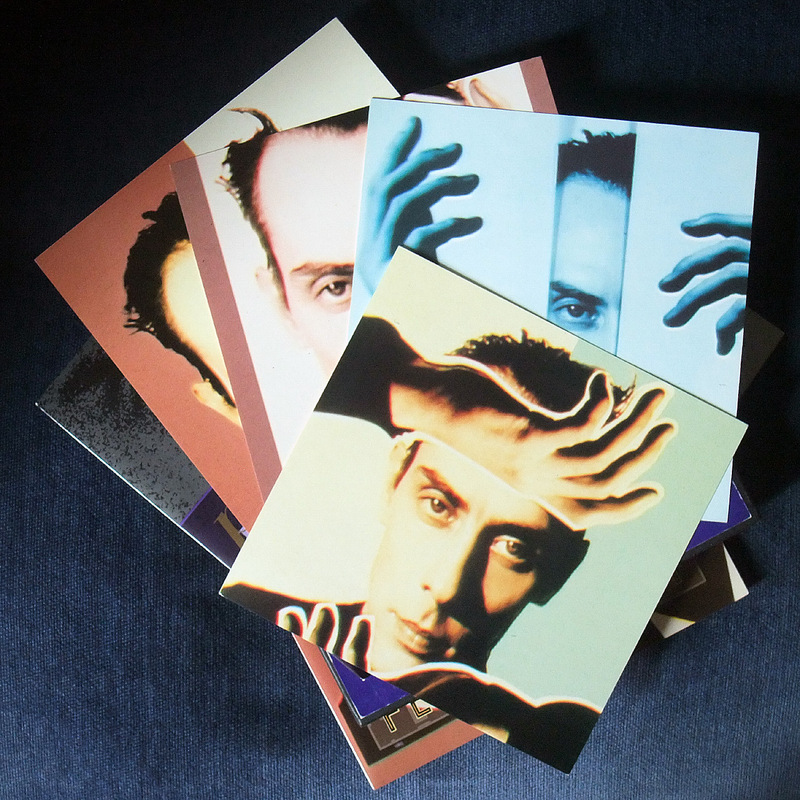 Each of these EPs featured the LP length mix of ‘All Night Long’ and also the LP version of ‘Blind Sublime’. Interestingly, the releases also featured the two live tracks, ‘Confessions’ and ‘Godsends’, meaning that the Canadian CD EP (Beggars Banquet/Vertigo, 870 413-2) is where these can be found digitally. Finally from Canada, there is a promo-only 12″ (Beggars Banquet/Vertigo, DJV268), both sides of which feature the longer of the edits, as per the UK 7″. 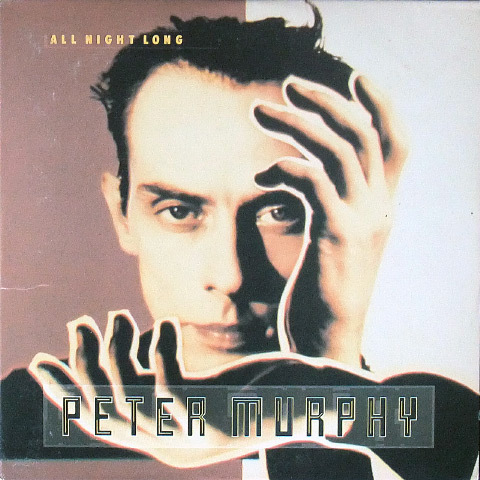 Speaking of which, the only territory that appears to have released this edit of ‘All Night Long’ on CD form is in Japan, where a two track CD single (Beggars Banquet‎, 10CY-8036) was released. A couple of live recordings of ‘All Night Long’ exclusive to singles have also appeared: a US promo-only CD single for ‘A Strange Kind Of Love’ (RCA‎, 2625-2-HDJ) featured a 5’42” live recording from Mahassey Theatre, St. Petersburg, Florida. A 5’10” live recording from Universal Amphitheatre, Universal City, California 7 August 1990 appeared on various ‘Holy Smoke’ era singles; a US CD single for ‘You’re So Close’ (Beggars Banquet/RCA‎, 62302-2), UK (Beggars Banquet‎, BEG259CD) and German (Beggars Banquet Germany‎, SPV 055-48543) CD singles for ‘You’re So Close’, a US promo CD single (Beggars Banquet/RCA‎, HDJ 62239-2) and promo-only 12″ (HDAB-62239-1) for ‘The Sweetest Drop’. 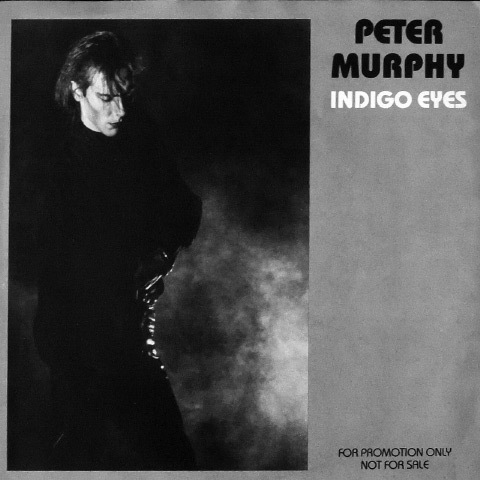 One of the most beautiful tracks from the LP, ‘Indigo Eyes’ was a fairly obvious choice as a second single release. In the UK, Beggars Banquet were clearly keen on promoting it with a view to chart success, issuing it in standard 7″ form (a shorter 4’09” edit) backed with ‘God Sends’ (Recorded Live), a ‘Collectors Series’ limited boxed edition 7″ (Beggars Banquet, BEG210B) that packaged up the standard 7″ single inside a box and added 4 ‘Mondino art prints’, a 12″ (Beggars Banquet, BEG210T)with an extra track, ‘Confessions’ (Recorded Live), pressed on standard black vinyl and also limited edition ‘indigo’ vinyl (though due to a mis-press, there are two variants in colour – one indigo and one powder blue). 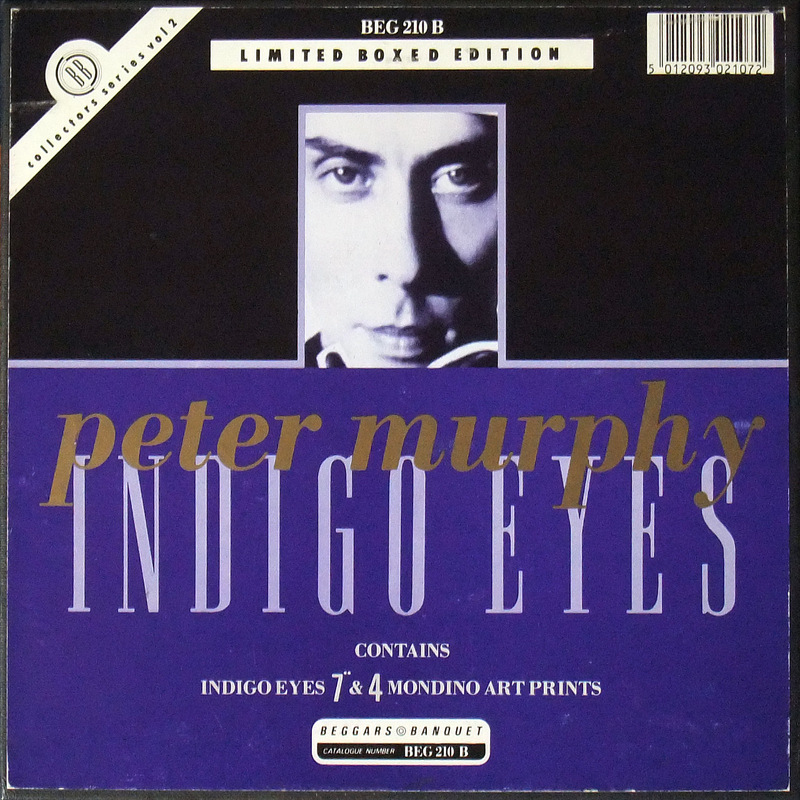 While not released on a wider scale, 7″ and 12″ promo editions with an exclusive sleeve design (and plugging tour dates with The Church) were made available in the US – each side of the singles contained the same versions of ‘Indigo Eyes’ – the LP mix on the 12″ (Beggars Banquet/RCA, 8695-1-HDAA), the shorter edit on the 7″ (Beggars Banquet/RCA, 8707-7-HAA). When ‘Love Hysteria’ was released as a 2-CD set in 2013 (Cherry Red, CDBRED570), a previously unreleased edit of ‘Indigo Eyes’ was included – in place of the full length original version, a 4’53” edit takes its place. Whether this was deliberate or a mistake is uncertain. The second CD of this set also featured a previously unreleased demo version of the track, at 5’34”. 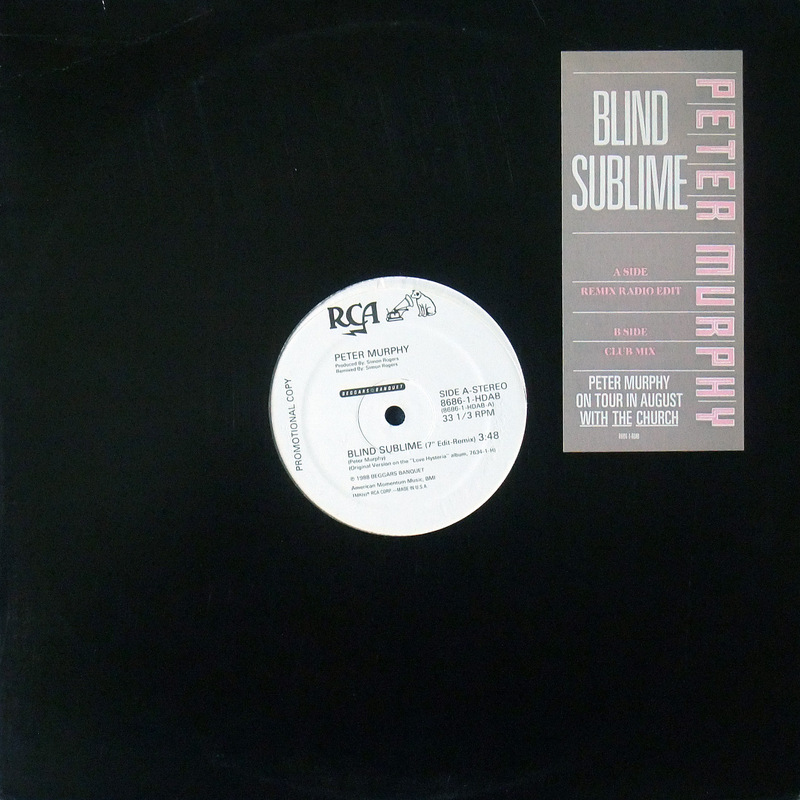 While the LP version of this track had appeared on some of the ‘All Night Long’ singles in UK and Canada, radically remixed versions of ‘Blind Sublime’ were released in America. A five track 12″ EP (RCA‎, 8687-1-HD) featured three unique versions of ‘Blind Sublime’ on side 1, namely ‘Blind Sublime’ (Dance Remix) (7’21”), ‘Blind Sublime’ (Blind Beats Mix) (4’34”) and ‘Blind Sublime (7″ Edit-Remix)’ (3’43”). 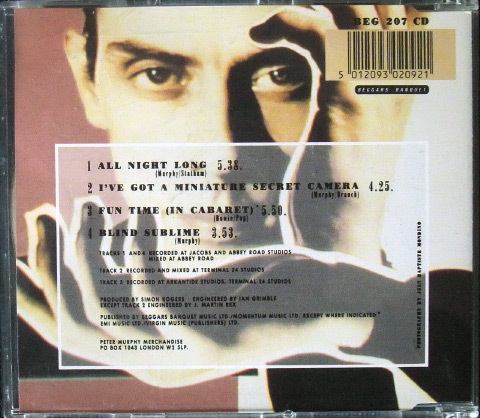 Meanwhile, side 2 featured ‘I’ve Got A Miniature Secret Camera’ and ‘Fun Time (In Cabaret)’. This edition came with a picture sleeve featuring the same photo as had appeared on one of the art prints featured in the ‘Indigo Eyes’ boxed edition. A two track promo 12″ (RCA‎, 8686-1-HDAB) featured the 7″ Edit remix version on side 1 and the Dance remix on side 2 – it did not feature a picture sleeve though, though a large sticker on the otherwise plain cover did once again plus upcoming tour dates with The Church also on the bill. 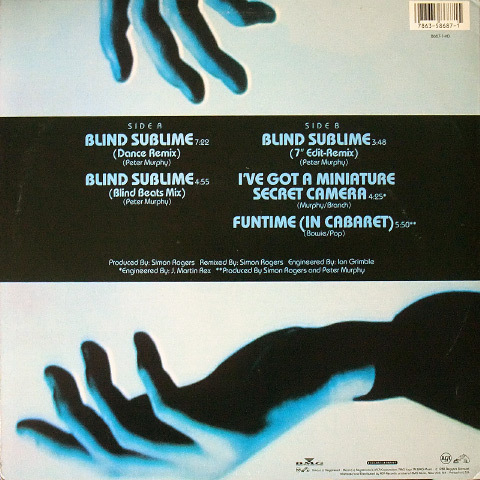 Although originally only released in the US, the remixed versions of ‘Blind Sublime’ would eventually see a re-release on the 2013 double-CD Cherry Red (CDBRED570) re-issue of ‘Love Hysteria’ at last. Finally, the second CD of the 2013 ‘Love Hysteria’ double-CD re-issue set also featured a previously unreleased demo version of ‘Blind Sublime’, at 4’09”. The following table gathers together known versions as discussed above, as well as the album tracks. Not included are any live versions that belong to complete live albums – only included are the stray versions from singles. This entry was posted on Thursday, July 20th, 2017 at 12:06 am	and is filed under Versions, versions. You can follow any responses to this entry through the RSS 2.0 feed. You can skip to the end and leave a response. Pinging is currently not allowed. Egad! Exactly a year to the date [and I’ve been watching and waiting] from the last post, I was going to add a comment today on the last post if nothing had changed. So VC returns from the dead with more forensic Murphism. I only bought the “All Night Long” UK CD5 and the US CD. I never got the “Blind Sublime” remix promo, though I should have seen it at least a few times. I did see Murphy for the first time on that tour with The Church, though! An all-time best value with Tom Verlaine opening! That was the best of four Murphy concerts I’ve seen simply because he still would perform 2-3 numbers from “Should The World Fail To Fall Apart” on that tour, but not subsequent tours. It has been quite the hiatus, but I expect to post more regularly. The ‘Blind Sublime’ remix single was the first clear indicator of how the US would get more attention from Murphy from then on, understandably so if you would see the general disdain the UK press were dishing out at the time. ‘Deep’ didn’t even receive a UK release until a good six months or so after it had first appeared in the US, so from my perspective as a UK based fan it was changed days indeed. As you may well expect, I aim to continue the forensics Murphism with a similar post on all things ‘Deep’ at some point. I really like the ‘Blind Sublime’ remixes a lot, really recommended. Envious of seeing the Murph at that time – was much later for me. Well, my recent David J experience [a first] was everything and much more than I expected. His stock rose sharply while I don’t think I will be seeing Peter Murphy again. 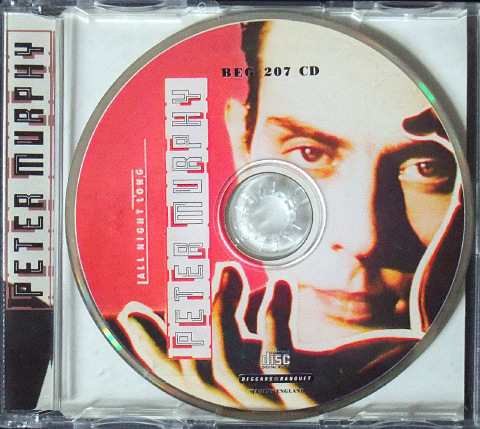 The Monk and I are on the same wavelength 🙂 I also first saw Murphy live with The Church (which I have documented here: https://yeahthatstheticket.wordpress.com/2015/08/22/1988-09-07-peter-murphy/), and it’s highly unlikely that I’d see him again. He was happy to make money from an all-Bauhaus tour a few years back, but Murphy annoyingly ignores his solo back catalog when performing. STILL waiting on a Cherry Red reissue of “Deep”!